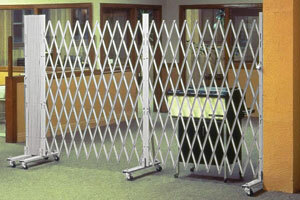 Protect your materials, product, equipment and other valuables with A-Mezz Galvanized Steel Folding Gates. The simple, convenient design provides plenty of ventilation while keeping the space secure. 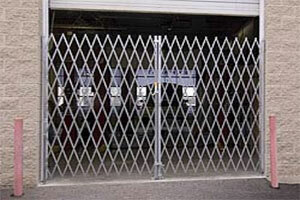 Most of all, galvanized steel folding gates are the strongest gates you can buy. They stand up to weather – they're rust resistant– so they look better and last longer. Plus, our galvanized coating bonds to steel 10 times stronger than paint. That means they'll be virtually maintenance free. 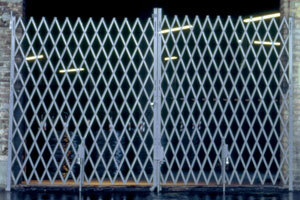 We can custom craft single gates, double gates, portable gates or barriers to fit your space. Just tell us what you need, and we’ll find a galvanized, heavy-duty solution.